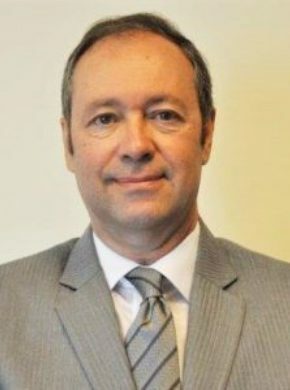 Mr. Chris Lewis has over 26 years’ experience in healthcare management. A graduate from the University of Wales, College Cardiff (UK) with a Masters’ in Business Administration (MBA). More recently a graduate from the Royal College of Surgeons (RCSI) Bahrain with a Masters’ in Healthcare Management, with a particular interest in Quality & Patient Safety. Achieved CPHQ (Certified Professional in Healthcare Quality) certification in 2010. A member of the American College of Healthcare Executives (ACHE) MENA Region, and a past Vice President. An enthusiastic supporter of national and international accreditation and patient safety rounds as a driving force for enhanced patient safety and quality. Trained as an ACHSI (Australian Council of Healthcare Standards International) surveyor in Hong Kong in 2015. Mr. Chris Lewis is overall responsible for the strategic direction and development projects of the GMDC and leads a team of motivated professionals in pursuit of the Center’s new vision, mission and core values. Mr. Abdulla holds more than 35 years experience in financial management. He is Deputy Chair of the Senior Leadership Team, and Chairman of the Procurement & Sales Committee. Prior to joining GMDC Mr. Abdulla was Chief of Financial Resources at the Ministry of Finance, Kingdom of Bahrain. Mr. Abdulla holds a Bachelor degree in Accounting from the University of Bahrain. 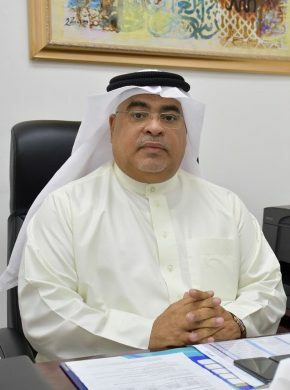 He also holds ACPA from the Arab Society of Certified Accountants, and a Diploma in Accounting Study-DAS (with Honors and Highest Distinction) from the University of Bahrain. As CFO Mr. Abdulla’s responsibilities include high quality financial control, reporting and management information to the Board of Directors, the CEO and senior management to ensure that all financial matters adhere to the Center’s policies and regulation requirements. Mr. Abdulla is also responsible for preparation of the budget and financial forecast and report variances and the planning, directing and monitoring of all revenue and expenses for the Center. Dr. Jaffer Abbas graduated with first-degree honors from Jordan University (the Master Program between 2006- 2008) at the National Center for Diabetes Endocrinology & Genetics. 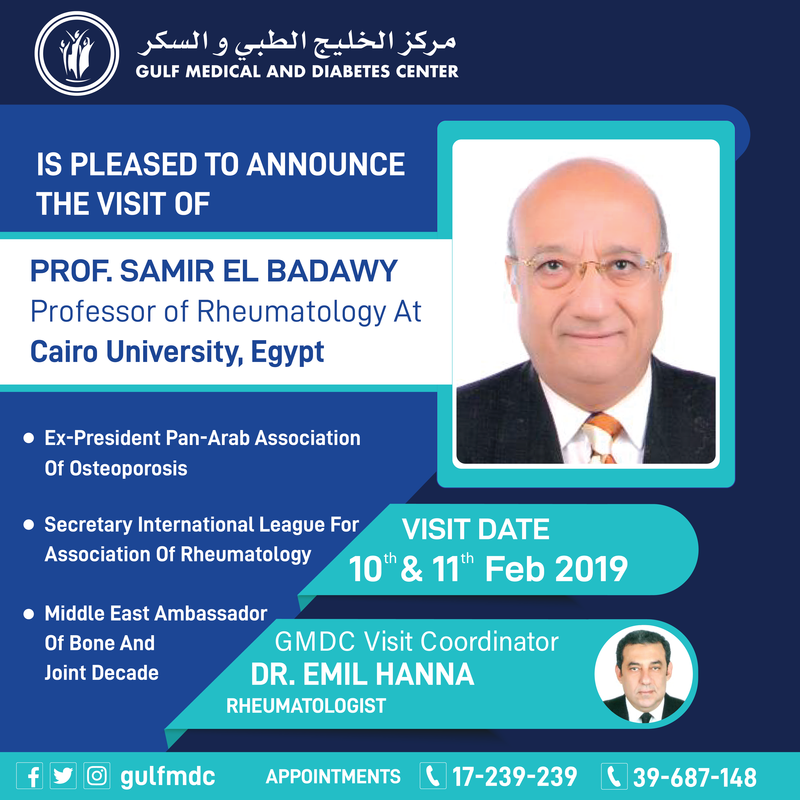 He completed his MBBch from University of Alexandria ( 1991-1997). After graduation he completed his one year internship program at Salmaniya Medical Complex in 1998. 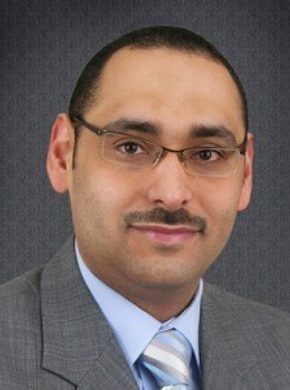 Dr. Jaffer received extensive postgraduate training in Bahrain during his residency program including internal medicine and family medicine (between 1999-2002). He received The Arab Board Certificate and Joint Board Certificate (RCSI-ICGP) in family medicine. Dr. Jaffer has comprehensive experience in dealing with all cases related to family medicine and diabetes diseases (Type 1 Dm, Type 2 Dm and Gestational Diabetes Mellitus).